"Oh, Dakuwaqa!" 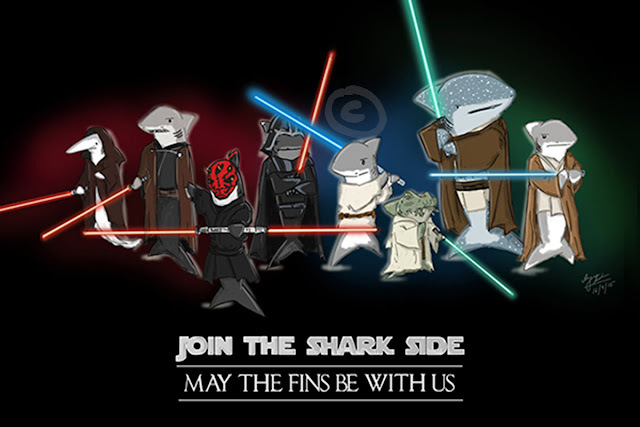 - The Shark comics and cartoons: I am a Masterpiece ... unlike those bottle inspirations! I am a Masterpiece ... unlike those bottle inspirations! See how cool my new panels look? And to think I'd made my earlier ugly ones the hard way. 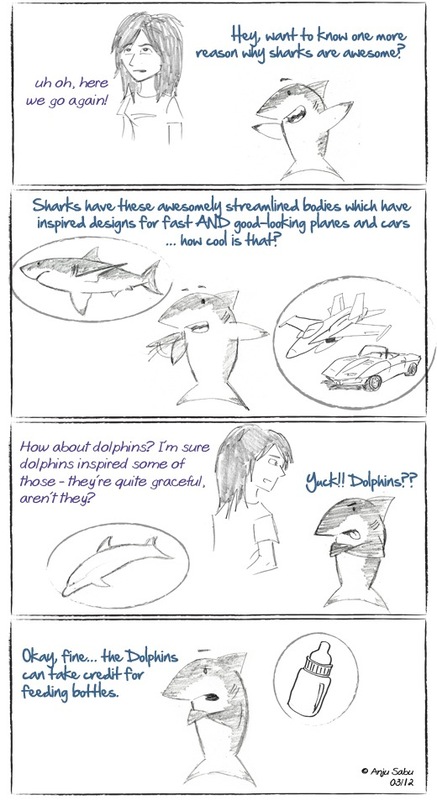 This strip idea cracked me up because of the feeding bottle dolphins. That's all they can take credit for. And jumping through hoops. The car I tried to draw is supposed to be the Chevy Mako Shark model. 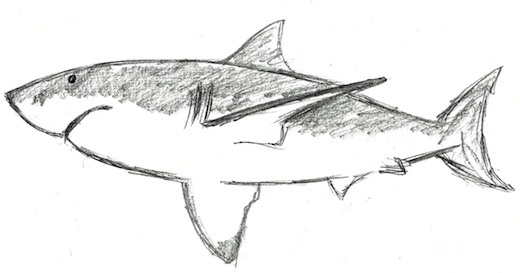 That awesomely realistic looking shark sketch is my own - I figured it had been a while since I attempted some serious sketching. Here's a close up of it, just so that you can enjoy that beautiful, streamlined work of art.